Press Release–Redemption for a Redneck – Johntheplantman's stories, musings, and gardening. John P. Schulz announces the upcoming release of his new novel, Redemption for a Redneck, which is the second in a series that was started with his award winning Requiem for a Redneck (Independent Publisher’s Book Awards, “IPPY”, Gold Medal for “Regional Best fiction-South” 2009). 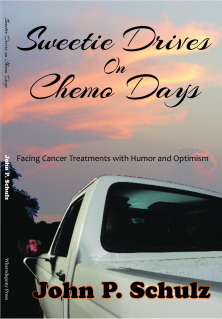 The book will be available on or around November 5, 2011. John says, “I have enjoyed listening to redneck stories for many years. During my beer drinking days I spent a lot of time sitting by the warmth of a wood heater, drinking beer, and listening to stories that seemed to come from a foreign community. These were what I now refer to as ‘the redneck stories.’ One cold day, right after the snow storm of ’93, after a delightful story telling session, a friend said, ‘John, you need to write about these stories. You’re the only one around who can do it.’ He handed me a note pad. “I listened to my friend and started taking notes. I became obsessive about taking notes of redneck stories and I wrote them on anything that was at hand–an envelope, a bar napkin. When I got home I threw the notes in a cardboard box, thinking that I would get to them some day. In 2001, I quit drinking. My life changed, the stories slowed down, and the box of notes was relegated to a back closet. “One day, a few years ago, I was cleaning out a closet and found the box of notes. I sorted them out and enjoyed them all over again. As I arranged the notes they became the basis for a fictional story about a world that most people don’t know about. –Raymond L. Atkins, author of The Front Porch Prophet and Sorrow Wood. A garden path with hand made stepping stones, pea gravel mulch, and a rock garden. John, congratulations on completing your second book. I am well aware of the early morning ritual that has enabled you to write Redemption for a Redneck. I appreciate your dedication to portraying the red neck culture in a true and positive way. Mom, you’re not supposed to call me “Precious Baby” here. Someone might notice. It made me feel good, thanks. I can hardly wait to continue the redneck adventures with you! You’ll love it, Shari.The people have helped me with critiquing and proofreading have all commented that it is even better than the Requiem. Western NC is not unlike rural Georgia in many ways, and we, too, have had our drinking days around a wood stove. I admire what you’re doing with your stories. There is no book in me. Can’t wait to read the sequel as we totally enjoyed Requeim (and Fred’s not even a reader).